A new section in the FNB banking app will allow users to search for property, get instant value estimates, and pre-approval loan letters. 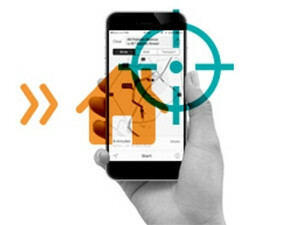 First National Bank (FNB) has launched a new section within its banking app, called nav>>, which it hopes will act as a 'financial GPS' for customers. FNB CEO Jacques Celliers says the bank is essentially 'fintech-ing' itself by concentrating on digital technology and trying to act like a start-up. "Nav>> is a simple and convenient tool which provides customers with smart ways to make the most of their money, be it in their business or personal capacity, and that can be accessed anytime, anywhere," says recently appointed nav>> chief imagineer Joland'e Duvenage. "Under the concept of a 'financial GPS', we will be offering a number of helpful solutions over the next few years by combining finance and technology. We would like to help point our customers in the right direction when it comes to making wise financial decisions." The tool will roll out in phases. The first phase is meant for home owners or sellers. Customers can search for new homes, get free instant value estimates, pre-approvals, calculators and access to a database of home service providers. "The site also offers free area and property reports that are pulled from a number of sources, including the bank's own valuation base built up over years and the Deeds Office to give a comprehensive overview of a suburb or particular house," says Duvenage. If a customer qualifies for a home loan, they will instantly get a loan pre-approval letter that they can use in the negotiation process. There is also a directory of home service providers, such as plumbers or movers, for when people have moved to a new area. The bank hopes to populate this directory with SMEs and entrepreneurs that apply to be on it. The business does have to be an FNB customer. The bank did not say what other services will be on offer under the new section, but hinted one could be about a 'GPS' for investing. "The financial services industry is surrounded by a highly competitive and volatile economic environment. Fuelling this competitive environment is the rise of fintech-type business models and start-ups, which is challenging the current banking status quo. We need to continue innovating to ensure we build on our innovations in the market," says Duvenage.